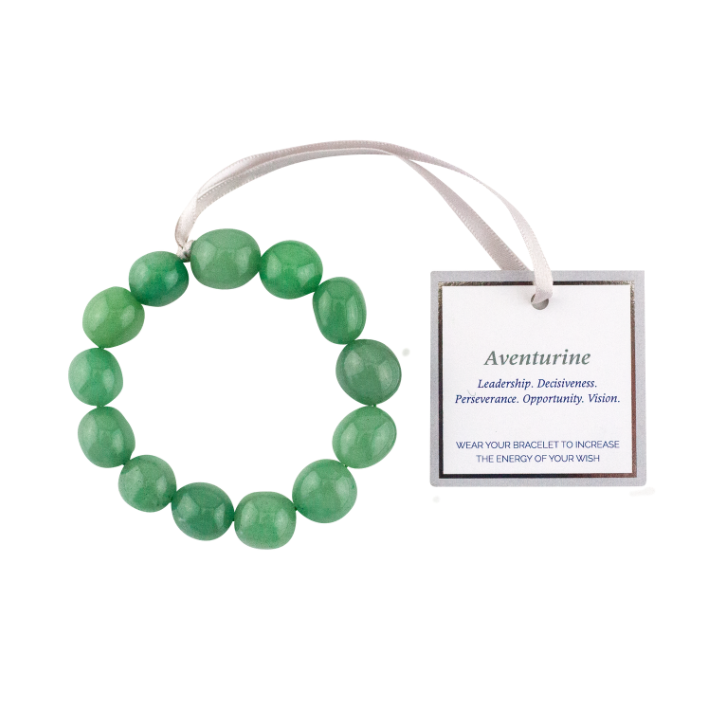 Aventurine invites you to take on a more active role in manifesting your Wish. 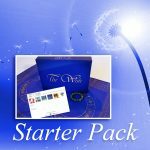 It helps you to reconnect to the decision maker within yourself and set an intention around what you want. The wisdom you seek is within: by connecting with it, you will be able to make more solid choices in your life. 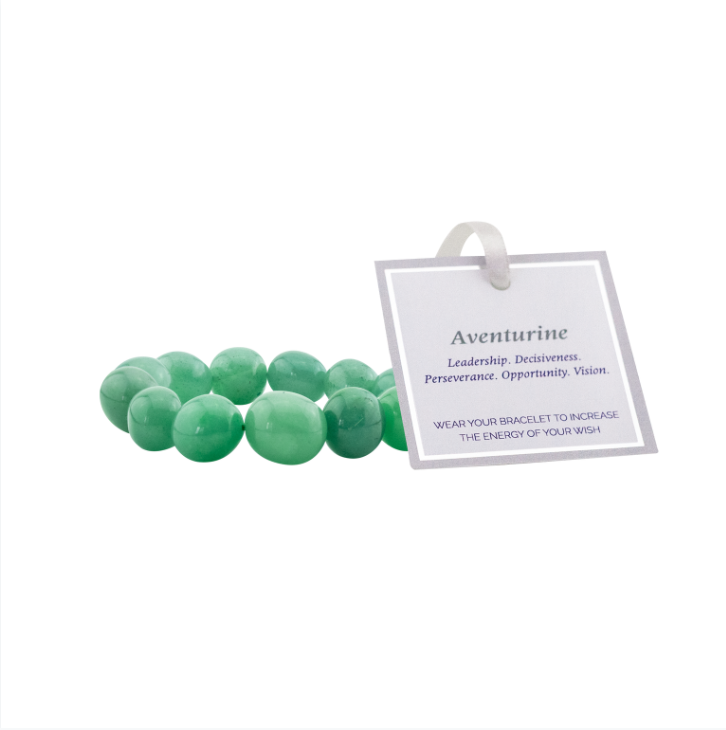 Once done, opportunities and prosperity will be greatly enhanced, as Aventurine brings good luck to whoever travels with it. Any inspirational quality, such as leadership, enthusiasm, courage or perseverance, must come from within. By going beyond your comfort zone you find out what you are truly made of. That’s why Aventurine is here. Vision both internal and external, requires sharpening. Together you will gain clarity around what it is that you may not yet be able to see in relation to your Wish. Remember: The clearer the vision , the more opportunity to manifest it. 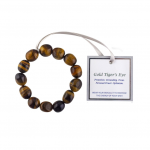 The Wish ~ Aventurine Bracelet is one size fits all and includes approximately 15 individual crystals.